The year was 1988, and another classic was coming to an end, or at least as we knew it. The Oldsmobile Cutlass Supreme was about to take on a whole new identity. About the only similarity between the old and the new was the name. 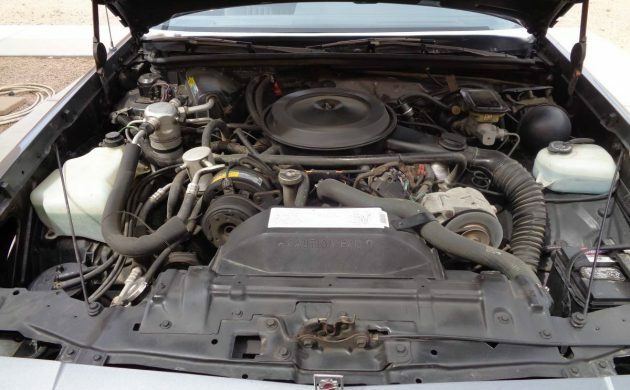 So at the beginning of the 1988 model year, the car you see above was produced only through December, only 27,678 were made, and it was renamed the Oldsmobile Cutlass Supreme Classic. A new front wheel drive model would take the reins from there until 1997 when the last Cutlass Supreme would be made. 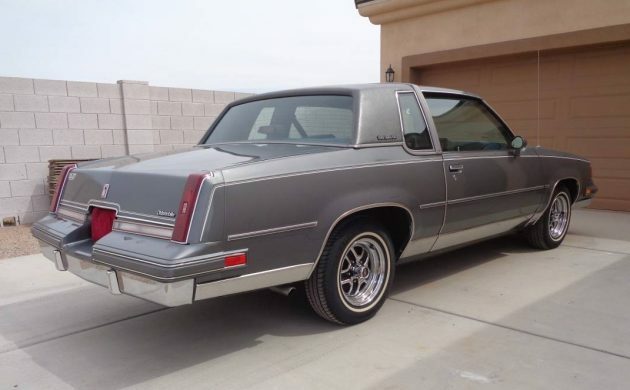 Here is a 1988 Oldsmobile Cutlass Supreme Classic for sale here on Craigslist in Mesa, Arizona. Thanks to Barn Finds reader Jack M for bringing this car to our attention. In their 1988 brochure, Oldsmobile described the Cutlass as one of “only a few real classics that remain” and further stated, “it’s been a respected classic for quite a few years”. Yes, we have to remember that at one point the Cutlass was the best selling car in America. 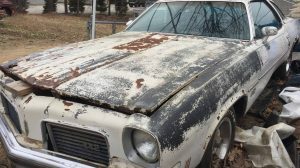 The car you see for sale here has been well preserved and is wearing original paint except for the hood. Oldsmobile road wheels and vinyl landau top dress it up. The interior is looking fine. There are no signs of wear anywhere. Seats, doors, carpeting, and dash all look immaculate. 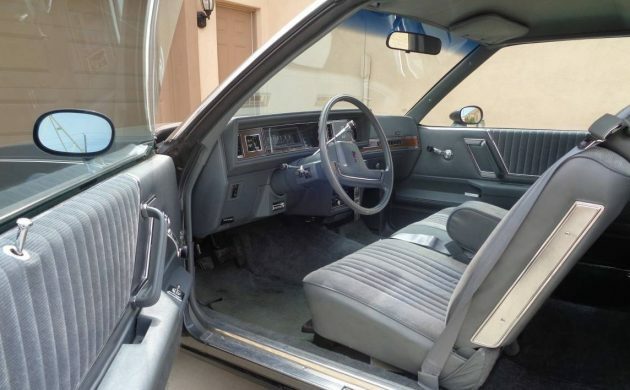 Interior options include tilt wheel, cruise control, air conditioning, and AM/FM stereo radio. The car is powered by the 307 cubic inch V-8 4 barrel engine. 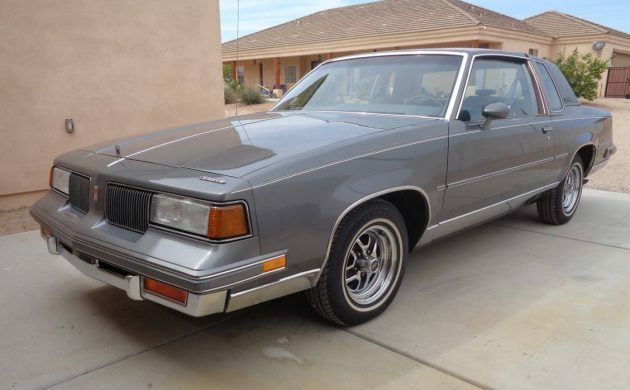 This Cutlass Supreme Classic has only been driven 28,000 miles in 31 years. While this is a very nice low mileage car, the price may be a little steep. Even with Classic in the name, is this car a $10,000 classic you would be interested in? Funny that at one time you saw these everyday. Now hardly at all. Nice car, but not for the price. Don’t think we’re there yet on these. Yep. Some day, but not today. Agree. Seems a little high to me, but a really nice car nevertheless. I think this car’s day will come, but not yet. Would love to have it though! I came across some of these leftover 1987s being sold as 88s over the years. Always became a confusion for ordering parts sight unseen. I had that car in the same color but mine was the Brougham model . The interior was luxurious with pillow inserts . The Brougham model also featured wire wheel covers . That’s a little too high of an asking price for me . This is your basic Cutlass with a few toys on it to make it more appealing so the price isn’t realistic. Most of the old RWD ones have long gone to the scrap yard too……..
All the G Body GM (which this is) cars have a huge following today. Huge aftermarket parts selection as well. There are plenty still around. Unlike the FWD wannabe Euro crap that came after. Anthony, a friend of mine has this company. He has most of what you need to rebuild most of the G Bodies. The price is not, though. You are obviously going to have to pay more money for the best example of anything. If this car was in the spring or fall Toronto Classic Car Auction it would probably sell for close to the asking price. You could drive and enjoy this rust free classic for years without investing another dime in it. Albeit in Canadian Dollars! $7 to $7.5k-This is not a loaded car- it’s overpriced even at that. Rock On I’d be inclined to agree with the Spring auction, but Fall might be a tougher sell at that price given it’s going directly into storage in our part of the world. Been a few years since I’ve attended, but Fall sales were usually favourable to the buyers. 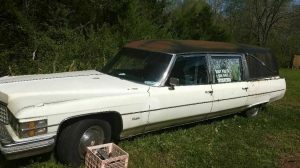 Love those Oldsmobiles but I wouldn’t pay that price… Just a bit to high. The Cutlass appears to be in great cosmetic condition for 30 years old and has the best equipment available at that time. It will not be highly collectible like a 1968-72 body sryle 4-4-2 coupe but this Cutlass is a time capsule of the last generation of V-8 powered RWD models. Beautiful Original Old school RWD Olds ! 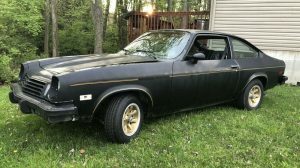 I paid 23K for my 79 ALL original Olds/Hurst back in 2016 its probably one lowest mileage examples left 6900 miles ! I My motto is ” Its only Original once ” !! Nice looking Olds….had the same year, mine was a brougham with those beautiful chrome super stock rims…mine also had an astro roof. Was a great car but the salt here in the northeast wasn’t kind to it and once it started rusting, had to let her go! “Wrong Way” indeed! Everyone knows the ’69 was the best-looking Cutlass Of All Time (COAT?). 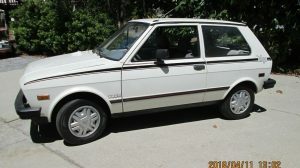 But seriously these late ’80’s models are certainly desirable cars from that era, especially in light of what followed. I think that mid-level or beginning old car hobbyists may create a market for nice, driveable examples like this one. The 442s are probably at the top of the heap, along with Monte Carlo SSs, and Grand Prixes. If you ever want more power and reliability there’s always the ubiquitous LS motor swap. Price is not as far off the mark as you may think. I don’t know why asking price is too high. What else will you find with 28k miles for less than this? And whatever you do find, I promise there is a lot more car in this Cutlass. Make a nice sleeper if the frame is clean. Maybe find some factory 15 inch olds rims. GN rear end. Swap a 6 litre LS combo in it. Have the exhaust dump behind the rear wheels. Have a 2 setting tuner to make it an animal when you want. Maybe stiffer springs and bigger brakes but other wise no external changes. Price is premium, I’m sure you could haggle. But low enough to get a meh Cutty? Dunno. As mentioned, up here in the north decent examples without rust are no more..
Nice Cutlass. My aunt had an identical 85 with the quad lamps. Another aunt also had a white/maroon 1990 new style Cutlass. I liked riding in both cars. The 90 felt more exciting to my kid self. I never understood the term “road wheels” I mean…they all hit the road right? That body style on the Cutlass was one of the best looking cars in the 1980’s. My dad had an ’84…then traded it in on a 1986 Delta 88 with the new smaller FWD body style, and was kicking himself soon after. I would love to have a nice example of one of these, like summer driver nice, not show car nice…but even $10K is too much on this one.